Heavy squalls began to hit Portugal late Saturday, with the country on red alert as Hurricane Leslie barrelled towards its coastline in what could be the fiercest storm since 1842. Neighbouring Spain was also preparing itself for what was dubbed a "zombie" hurricane, as it first formed on September 23 and has been meandering through the waters of the Atlantic Ocean for weeks. Leslie was set to make landfall in the Lisbon area overnight Saturday, by which time it is expected to have been downgraded to a tropical storm. Even before the sea was beginning to surge at beaches south of the Portuguese capital, with surfers ordered to return to shore. Portuguese authorities urged those living by the coast to stay indoors and fishermen to return to port while some flights were cancelled over warnings winds could reach up to 120 kilometres per hour (75 miles per hour). Spanish meteorologists were expecting the hurricane to hit there early Sunday. "The meteorological system has lost intensity but gained speed. It will arrive a bit earlier than predicted and a bit further north of Lisbon," Portugal's civil protection chief Luis Belo Costa told reporters on Saturday evening. Costa said that Saturday night would be a critical period, warning of the risks of flooding in coastal areas, downed trees and power telecoms outages. In central the situation remained calm though weather conditions were worsening by the hour. Meteorological records indicate that only five hurricanes have ever arrived in this part of the Atlantic Ocean, and Leslie could turn out to be the most powerful storm to hit Portugal since 1842. The exact trajectory of the hurricane, however, remains uncertain due to the presence of another storm approaching the region from the north, Portugal's meteorological institute said. Maritime authorities advised fishermen currently at sea to return to the nearest port and Portugal's TAP airline cancelled seven flights to and from Lisbon. "We don't know what the real and concrete impact will be, so we're erring on the side of caution," Lisbon's mayor Fernando Medina told reporters. Over the past 176 years, only Hurricane Vince has made landfall on the Iberian peninsula, hitting southern Spain in 2005, according to weather records cited by experts. In October 2017, strong winds from Hurricane Ophelia, which north off the coast of Portugal and western Spain, fed forest fires that killed around 40 people during a heatwave. Ophelia then made landfall in Ireland as a violent storm, killing three people. 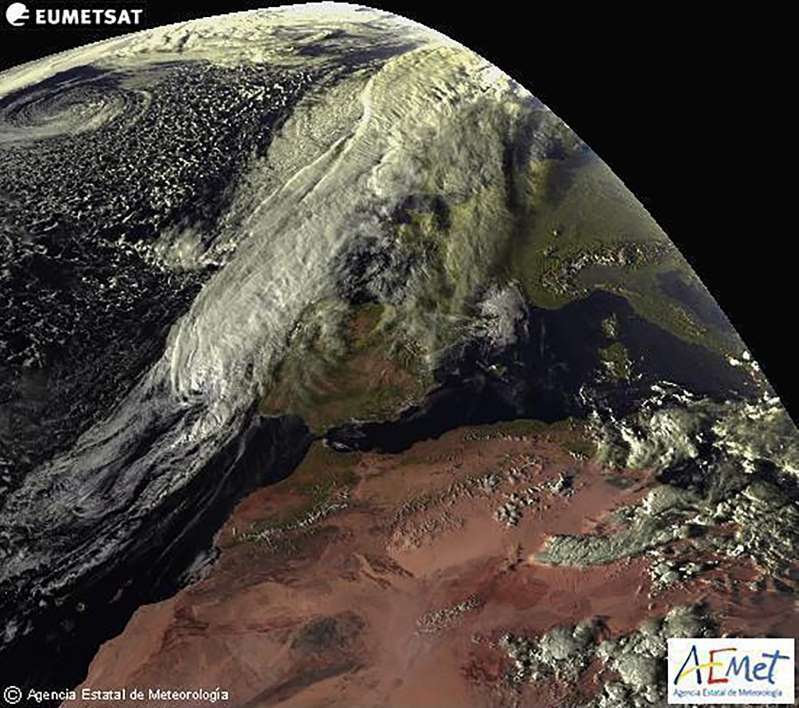 While Leslie is likely to be downgraded to storm category when it hits western Spain on Sunday, authorities still warned that it could cause damage as it adds on to other active weather fronts. Spain's civil protection agency said storms in the south and east of the country could be "very strong locally" and that heavy rain was expected in the north and east. On Tuesday, intense rain sparked flash floods in the Spanish holiday island of Majorca, killing 12 people. With the new storms approaching, the civil protection agency advised people to secure doors and windows in anticipation of strong winds and to avoid going near trees, cranes or buildings under construction.